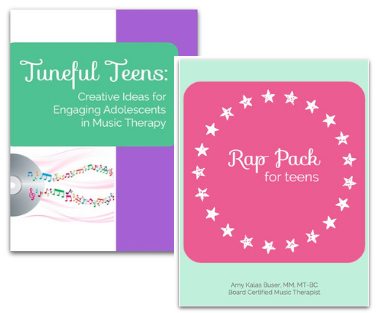 Tuneful Teens: Creative Ideas for Engaging Adolescents in Music Therapy is chock full of intervention ideas, song ideas, sheet music, and templates for a variety of activities and musical games that are appropriate and engaging for teens with special needs. 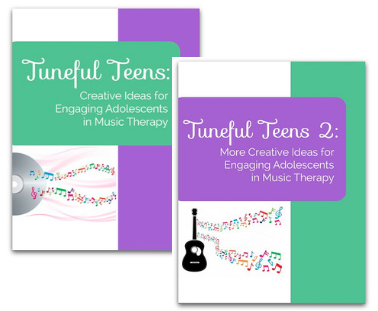 The Tuneful Teens E-Book series has sold over 2,500 copies and is updated every six months with all fresh, hot, NEW pop songs! I have, at some point in my career, answered YES to each and every question listed above. However, after twelve years of experience working with teens with various special needs, I have a storehouse full of ideas that I cannot WAIT to share with you! 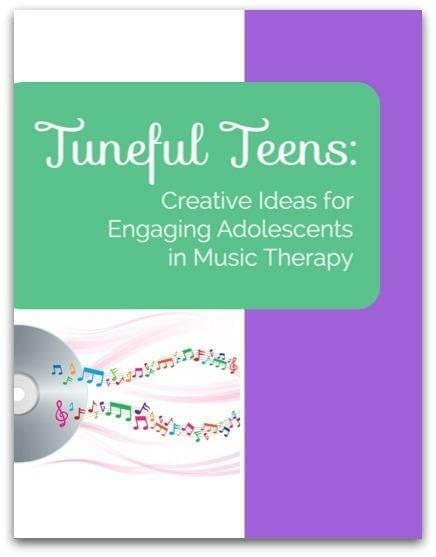 Tuneful Teens is your guide to navigating the world of music therapy with adolescents, and it’s only $18! Don’t need any more convincing? 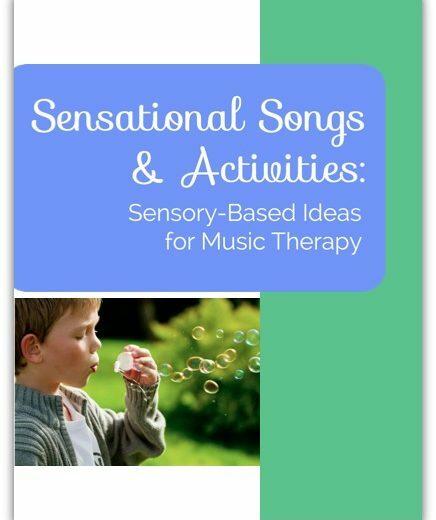 My first experience working as a music therapist with teens came when I started my internship at the Matheny Medical and Educational Center in New Jersey. I was terrified. My ‘comfort zone’ had always been with children. 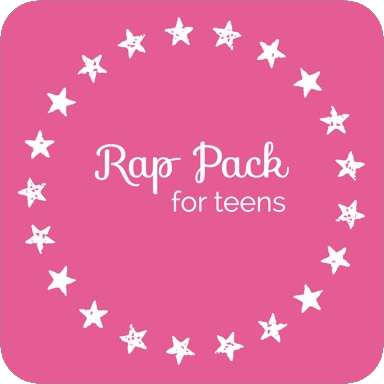 I had no idea how to approach the world of pop music and age-appropriate activities for individuals who functioned at a different level than their chronological age. However, after jumping in, I have now gained twelve years of experience working with teens with various special needs and I have a storehouse full of ideas that I cannot WAIT to share with you! I currently provide group music therapy for the Friendship Circle of Miami, program for teens with autism and other special needs. This group has helped me generate some of my most successful ideas and has served as a “testing ground” for my new ones. 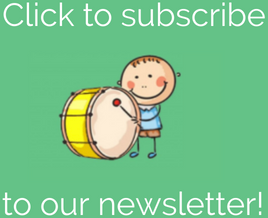 BONUS…I’ve included a Pop Song Hot List with 100 of the freshest, hottest songs (updated every six months!) AND I’ve included my Teen Music Survey that I give to each teen group I work with to determine their musical preferences. You do NOT want to miss out on this! The best part? 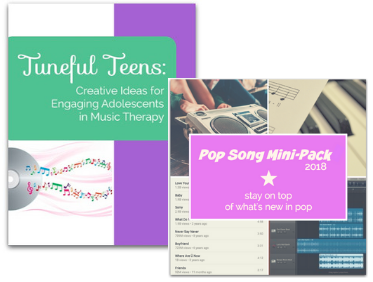 You can have all this – over 40 pages of creative ideas, sheet music, and activity templates – all for only $18! 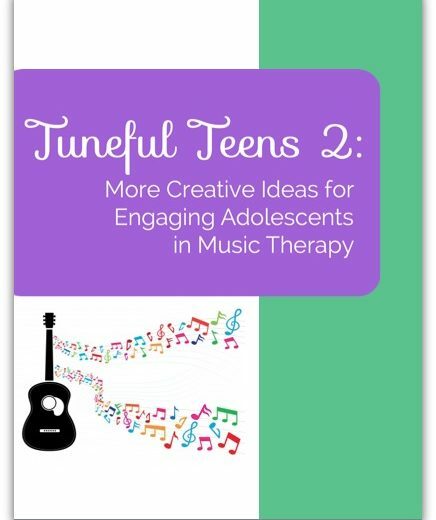 Here’s what others are saying about Tuneful Teens…the E-Book series has sold over 2,500 copies!